We offer 3 levels of ACCT Certification. In 2007 the Association for Challenge Course Technology adopted the first industry-wide Practitioner Certification Standards. In early 2008 ACCT accredited High 5’s certification testing program based on those standards. We continue to administer a high-quality certification program with an emphasis on quality education of facilitators as the primary outcome. A Level I Practitioner will have received a minimum of 40 hours of training based upon attendance at a High 5 Adventure Basics five-day workshop. Candidates must show competency in an understanding of basic program facilitation skills and technical skills. Testing includes a written and practical test. The written test must be passed with a score of at least 80%. Participants must show mastery of all practical skills. This is a one-day exam process. Level I certification must be renewed annually. A Level II Practitioner will possess an advanced level of program knowledge and competencies in the areas of facilitation and technical skill. Candidates will have received a minimum of 80 hours (this includes the 40 hrs. from Level I) of training based upon attendance at a High 5’s Beyond Basics four-day workshop. Candidates should have a minimum 200 hours (25 days) of program experience as a facilitator on a challenge course. 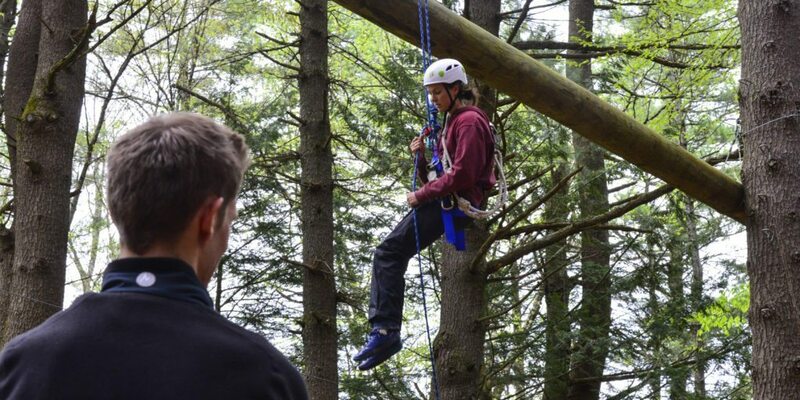 Testing includes practical skills as well as specialty areas such as challenge course rescues and a written exam. The written test must be passed with a score of at least 80%. Candidates must show mastery of all practical skills. This is a one-day exam process. Level II certification must be renewed every 3 years. The Course Manager requires a minimum of 30 additional hours of management training in addition to a current Level 2 certification. High 5’s three-day Managing an Adventure Program workshop meets this requirement. Candidates must also have a minimum of 500 hours (62.5 days) of program experience. Testing at this level includes a written exam with a practical testing element and is typically conducted in a half-day format. The written test must be passed with a score of at least 80%. Course Manager certification must be renewed every 5 years. The documents listed are a helpful resource if you are interested in Certification.